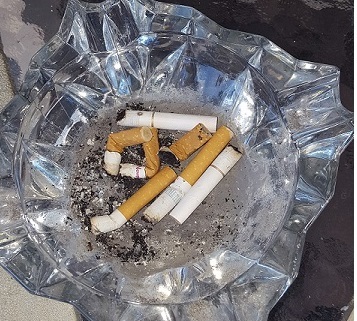 So many times when I answer the phone, the caller on the other end (often a smoker) doesn’t wait for me to say much of anything as they dive into, “I need to make an appointment for smoke cessation, but first I have a few questions. How does hypnosis work, what is your success rate for smoke cessation and what if I can’t be hypnotized?” I have to take a breath and begin with one question at a time. How does this hypnosis work? I explain that hypnosis is safe, non-invasive and a natural occurrence. Awareness of a problem is the first step, desire to change is the second. Next comes taking action. By calling me, the future nonsmoker has begun to take action. The subconscious mind is receptive for any ideas we want to embrace. If your first associations with smoking were positive (status among peers, a sense of maturity, an opportunity to step away from a stressful situation) then that is what the subconscious mind has connected with smoking, regardless of the threat of illness. It is our goal to uncover those early associations along with smoking triggers. Triggers are related to the habit of smoking. They can be things such as finishing a meal, having a cup of coffee or tea, driving, talking on the phone, etcetera. Then we rewire our habits and associations. No longer is smoking cool, smokers are not banished to the outside for their habit. We find alternative behaviors for the former smoke breaks. We work on breathing exercises, stress management and even address eating and exercise. All of this together makes for a smoke free, more confident and authentic you. While I can tell you that I give it my all and most of my clients leave nonsmokers, I would be very creative to give you an actual percentage rate. I know about the success stories when they write me six months or even several years down the road to say they are still smoke free. But, if someone falls off the wagon and is too embarrassed to admit it, I might never know. There are those in my field who claim 95% success (or something similar), I cry foul! It is important to remember that tobacco has had a brilliant marketing campaign for years. During the second World War our brave soldiers were given cigarettes by the government! Many veterans have told me they began smoking during basic training, because, smokers got a break and nonsmokers had to remain in formation at attention. Smoking was a fashion statement, a rite of passage and a reward. It became a way of life for many, even a part of a smoker’s identity. So, while I love seeing my client leave the office smoke free, I never judge if they pick up the habit during a stressful time. What I ask is that they let me know right away. It makes it easier to reverse, go back to living smoke free. For many reasons people will believe they cannot be hypnotized. Perhaps they have been told that you must be gullible or artistic or visual. Actually you can be any of those or none. For hypnosis is a natural occurrence. The same brain waves that are experienced (and have been measured) that one experiences during the day, when daydreaming or when falling asleep are the brainwaves measured during hypnosis. If you have a good imagination, if words sting you easily, if you become so involved in a sporting event that you tense and try to assist them with your own body movements while sitting on your couch you are probably a good candidate for hypnosis. You can have any of those qualities or all of them. For more information on hypnosis and a fun little quiz to determine how hypnotizable you are click here: Hypnosis FAQs. For the test scroll down to the bottom of the page. If you are tired of smelling like an ashtray, coughing and hacking or even just being exiled to the outdoors or being controlled by BIG TOBACCO, maybe you are ready to stop smoking. Call me today for your smoke cessation session and let the smoke clear and give yourself the gift of a healthier, longer and better quality life!